A novel that will have you laughing out loud one minute, and swooning the next! "Simon James Green is one of the most hilarious, heart-flippingly romantic, charmingly observant writers in the game right now." - Becky Albertalli, author of Love, Simon In the town of Newsands, painfully shy Alex is abandoned by his two best friends for the summer. 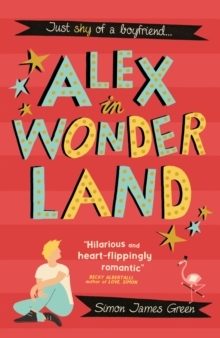 But he unexpectedly lands a part-time job at Wonderland, a run-down amusement arcade on the seafront, where he gets to know the other teen misfits who work there. Alex starts to come out of his shell, and even starts to develop feelings for co-worker Ben ... who, as Alex's bad luck would have it, has a girlfriend. Then as debtors close in on Wonderland and mysterious, threatening notes start to appear, Alex and his new friends take it on themselves to save their declining employer.